If I only knew... Just seconds after I took a seat following my very first public speaking enagement, acclaimed author and metaphysicist Teferu Azr (a.k.a. 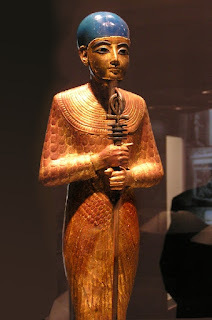 Justin Thomas who wrote the epic novel, A Company of Moors) put me on to some powerful information related to what I had just talked about regarding the Ptah-Sokar Awards, more formerly known as the Oscars. 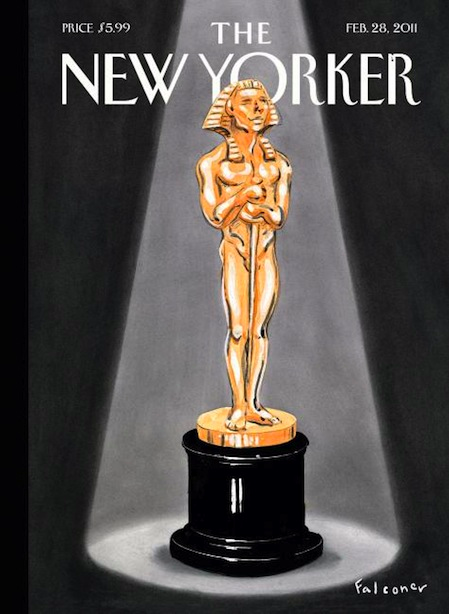 Teferu told me that he saw a copy of The New Yorker, which depcited the famous Sokar/Oscar statue with a pharonic headdress on its cover earlier in the week. The very next morning I copped the magazine just to see what the cover story was saying. Although I didn't find anything to report back to you, the image on the cover spoke volumes. I wish I knew about the magazine cover going into my little presentation. I usually visit Barnes & Noble at least once a week, but for whatever reason, I opted not to go the week that I presented. Nevertheless, it’s just more confirmation of what I said in the video footage above. 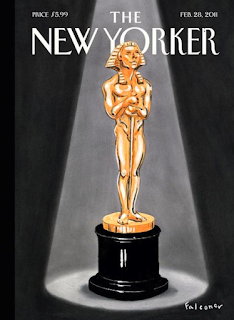 I find it somewhat amusing that the image was on the cover of a magazine called “The New Yorker,” given that I am a New Yorker and the magazine is dated just a day after my presentation in New York. In addition to that, the magazine cover is in a black and gold motif much like my Mind Glow Media blog.